Beat the eggs in a bowl until blended, add 1 tsp oil to a frying pan and heat add chilli and onion. Cook together until soft then add egg. 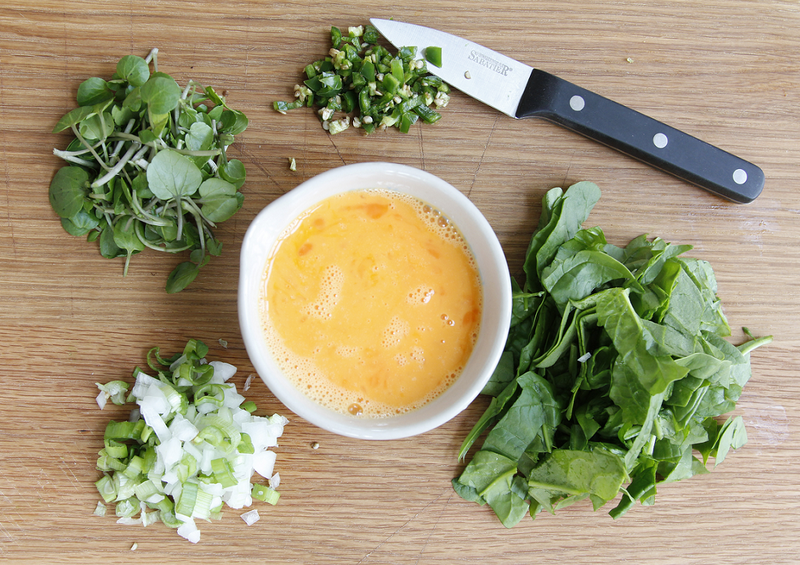 Allow the egg to cook, add the spinach and ½ the watercress. 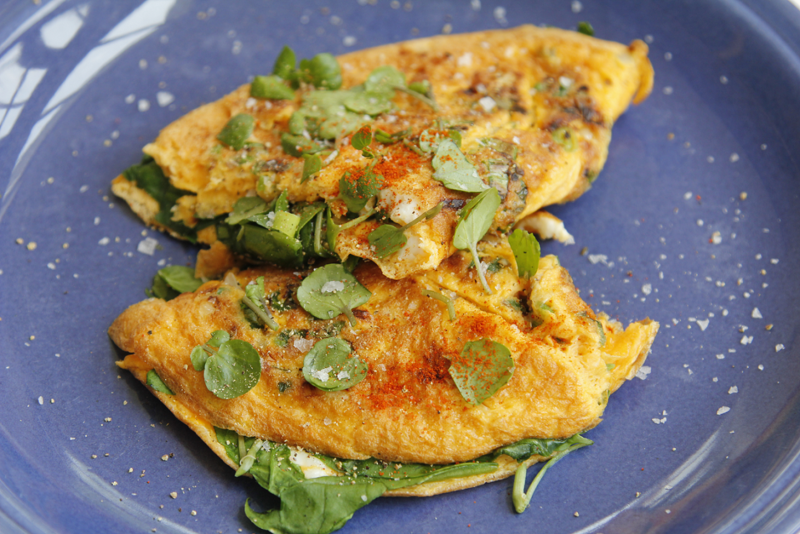 Flip the omelette over to cook the top side, then turn again and fold in ½. Pop onto your plate, season and add the rest of the watercress.